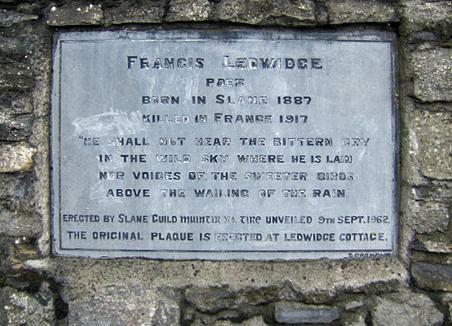 On July 31st, 1917, Francis Ledwidge was killed near the Belgian village of Boezinge while drinking a cup of tea – a rather ignominious end for one of Ireland’s greatest poets. Ledwidge was killed by a German shell, for he was fighting in the British army during World War I – the so-called Great War – for the rights of small nations everywhere. Born in Slane, Co. Kildare, on August 19, 1887, into a large family, Francis became a Nationalist and a member of the Irish Volunteers, founding and becoming captain and secretary of the Slane corps of that organisation. Francis’ early life was one of hardship as his family struggled to survive. He left school at 14 and went to work in a succession of physically demanding jobs – farm labourer, road worker, copper miner. And all the while he was writing poetry – diffidently at first, but with greater craft and confidence as he aged. He fell in love there with Ellie Vaughey, a match that was doomed by class prejudice. humble origins. There he met and mixed with men such as Oliver St. John Gogarty and Thomas MacDonagh. Lord Dunsany became his mentor, and helped have his first book of poetry published, just before Francis’ death. With Lord Dunsany’s support, Ledwidge’s poetry grew in confidence, style and quality as he continued to write of the things he saw and knew in his native Slane. When the War began, the young poet refused to join up at first but then, for his own reasons, did. He would not have England say she had defended Ireland and the Irish had not raised a finger to help. While in the Army, and on his return home on leave, he continued to write his poetry, but now reflecting his new experiences and feelings. Ledwidge was optimistic about his personal survival and wrote a letter home expressing his belief that he would, indeed, survive but was dead before the letter was delivered. Ledwidge was much moved by the Easter Rising and its aftermath. He knew Patrick Pearse, was good friends with Thomas MacDonagh, and their executions weighed heavily on him. He wrote several poems about the Rising and his friends, and in this book fellow poet Liam O’Meara puts all these poems in context, explaining the allusions within, the references, and the timing. "Dead Men's Dreams" is collection that has never been compiled before. It is a unique and timely compilation that will be seen as a valuable contribution to the remembrance of the Easter Rising and those who took part in it – or wished they had. Liam O’Meara is best known as a poet and has won a number of awards including the Hugh MacDiarmid Trophy (Scottish International prize); The George Henry Moore gold medallion, the Gerard Manley Hopkins, the Tipperary Theatre Arts prize, and Premio Cittá di Olbia (Italy). In recent years he has worked as a researcher with the Liberties Living Heritage group and has produced a trilogy of books on old Dublin. Liam has spent many years researching the life and works of poet Francis Ledwidge. In 1995 he co-founded the Inchicore Ledwidge Society and since then has edited a number of books of the poet’s writings, both poems and prose: ‘Francis Ledwidge the poems complete’; ‘The Best of Francis Ledwidge’ and ‘Legends of the Boyne’. He has also written his own biography of the poet ‘Francis Ledwidge, Poet, Activist and Soldier’ and a play ‘To One Dead, a play based on the life of Francis Ledwidge’ based on the poet’s life which was staged at the Pearse Theatre, Dublin. Other works by Liam include: ‘From Richmond Barracks to Keogh Square’; ‘The Bayno, 100 Years of the Iveagh Trust Playcentre’; ‘Zozimus, The Life and Works of Michael Moran, blind poet of Dublin’; ‘Within and Without, Dublin Churches of St. Nicholas, exploring the Manx connection’; ‘Burned All My Witches: an autobiography in verse’; ‘Emmet Hall, from the Lockout to the Rising in Inchicore’. 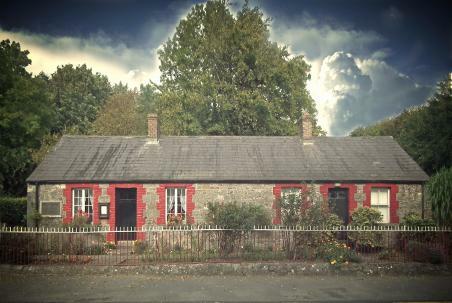 Liam is currently a member of the Richmond Barracks Advisory Group formed for the restoration of the gymnasium and recreation room of Richmond Barracks and regularly leads tours of this historic area of Dublin, and may be contacted through the publisher. 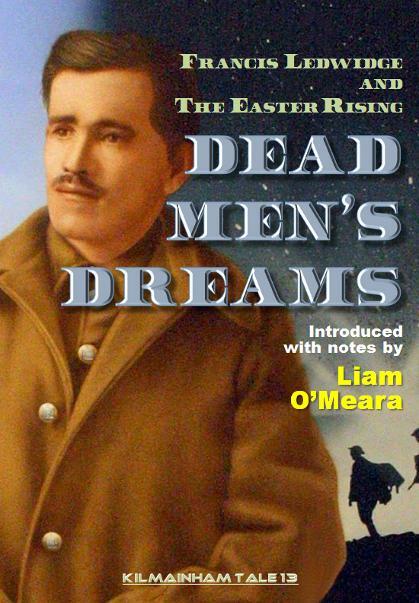 Launch of "Dead Men's Dreams"